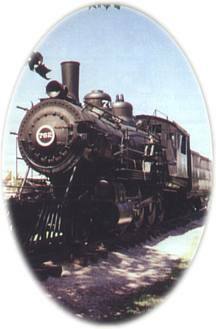 Chanute owes its name and existence to a track-laying race between the Leavenworth, Lawrence, and Galveston (LL&G) and the Missouri, Kansas, and Texas (KATY) railroads in the early 1870's. At the junction where the two lines crossed, town promoters planned three towns: Tioga, New Chicago, and Chicago Junction. The two railroad rivals schemed and fought for dominance. Finally, after two years, rivalry-weary leaders cooperated to plat a fourth town, Alliance. This solution failed, so in 1873, they agreed to consolidate all the towns and call the conglomerate Chanute after Octave Chanute, the LL&G chief civil engineer who later became a pioneer aeronautical engineer. Known as the "Father of Aviation", Octave built the "Chanute Glider" which was an invaluable aid to the art of flying. It is given without remuneration that he made the success of the Wright brothers possible. He died in 1911 before the science of flying had made anything like its present success. A recognized authority in England and Canada in civil engineering, his life's aim was to see air transportation an accomplished fact. Osa Johnson, the explorer, was born in Chanute; the Martin and Osa Johnson Safari Museum containing photographs and artifacts is located here.